A sparkly Diamond Anniversary celebration! Because 60th wedding anniversary gifts are traditionally diamonds and as that is something that probably only your grandma would appreciate, we have come up with lots of presents they will both love. This is a fantastic Anniversary book for your Grandparents and one that you know they will love to look through. Inside is the front cover of the newspaper from their wedding day and then every Anniversary day since. Plus you can personalize the book to make it even more special for them. Do your grandparents love to do jigsaw puzzles? 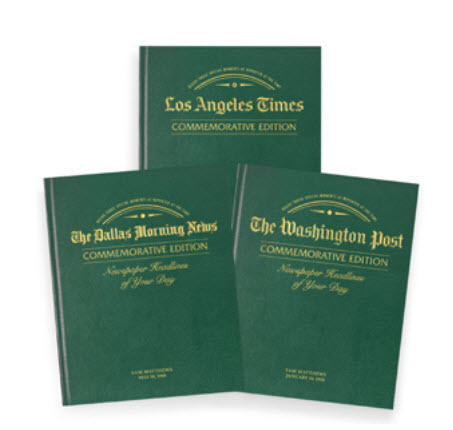 The front cover of the Washington Post from their wedding day. Diamonds can mean so much more than just the stone. Diamond memories in a scrapbook, 60 pages of photographs and notes from family members would be something to treasure. You could have 60 reasons why you love them and have everyone share their own memories of your grandparents. Diamond patterns on a rug or new bedding. And 60 years will have lots of memories, could you get them to tell them to you and then write them as their love story. The world has changed so much in the last 60 years that having their story will be part of your family history - and I bet they would love telling you too! You could either record them and have it as a video for every family member or have their own book printed with photographs from the time. After sixty years of marriage your grandparent's family tree will have grown and they were the beginning. A framed photo of all of you. Special surprise 60th Anniversary party with all of you there. 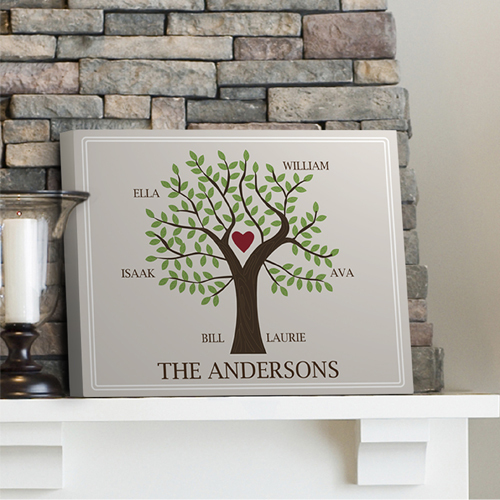 Pictures of all the children and grandchildren together are a must and would be a perfect gift for your grandparents. 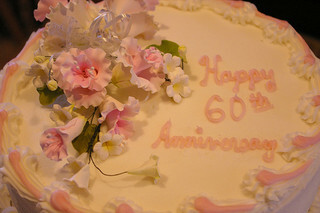 60 years will have lots of memories, could you get them to tell them to you and then write them as their love story. 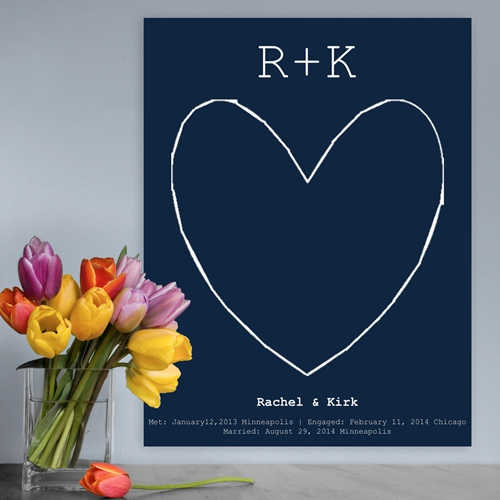 Or you could add their special dates and places to personalize this Love Story Canvas. If your grandparents are able to get away you could look at treating them to a night away in their honeymoon hotel - just remember the prices and the place may have changed in the last 60 years! Most grandparents just love being able to spend time with their family and that is a great gift, try and get everyone together to celebrate and make sure you take lots of photos for the next family album.